Halloween is this weekend!!!!! Do you have your costume? If you don’t, that’s OK! 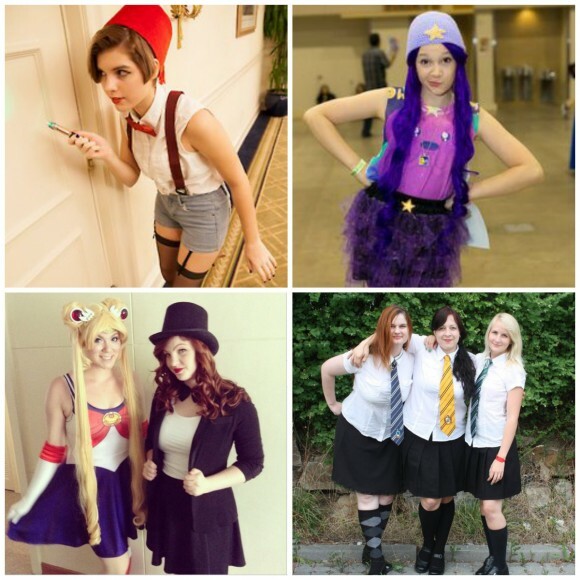 Here are some really quick fandom costumes you can put together with pieces from your closet or easy finds at a local store! Femme 11th Doctor; Matt Smith had some of the hippest costuming in Doctor Who history, so of course, his outfits are some of the most recreated for cons and Halloween. It helps that it is easily translated for us ladies! All you need is a white button down blouse, a pair of shorts, red suspenders and a red bow tie, topped with a fez! And if you are a good Whovian, you already have your Sonic handy. Easy peasy! Lumpy Space Princess; God I love this character! She sends me into a fit of hysterical laughter each time and dressing up as her is so immensely easy! 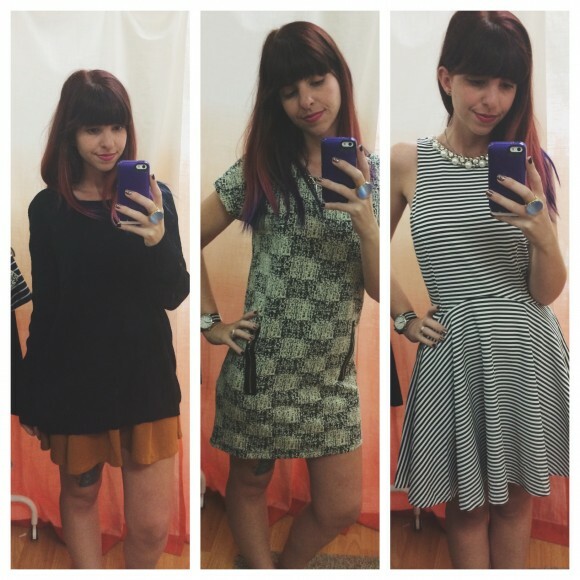 All you need is a purple dress or purple top and purple skirt. Basically: find all the purple things. Get a purple wig and slap on a big foam yellow star to complete the look. And, of course, bring your best LSP attitude – lump off! Sailor Moon; I am really loving the every day cosplay trend because you can grab any of your dresses and play them up with accessories for the easiest costume! Living Dead Clothing has the most adorable Sailor Scout dresses that you can pair with corresponding earrings, tiaras, etc. to complete the look. 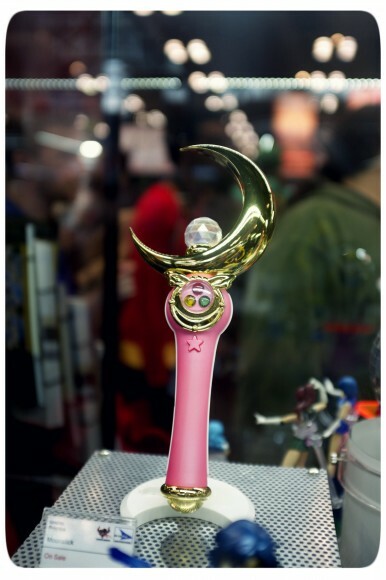 I especially love this bestie duo rocking the femme Tuxedo Mask! Hogwarts Students; By far the easiest costume to put together on a budget and time crunch. I definitely rocked this look one Halloween when I was a broke grad student! Did you go to private school? Score. You just got your Hogwarts uniform. I used an old school blouse and skirt from my high school uniform and snagged a cheap gray V-neck sweater from Walmart. To add some special touches, I painted the collar in Gryffindor gold and red with fabric markers. Although, you can skip the sweater entirely like the ladies above and just rock the ties (c’mon, you know you have 1, 2 or 10 in your fandom collection). 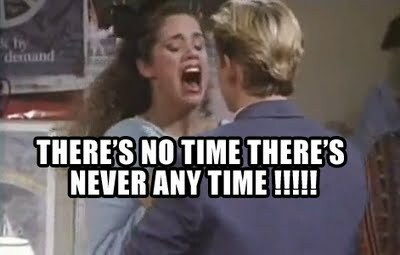 I hope all of you survived the Mercury Retrograde unscathed. 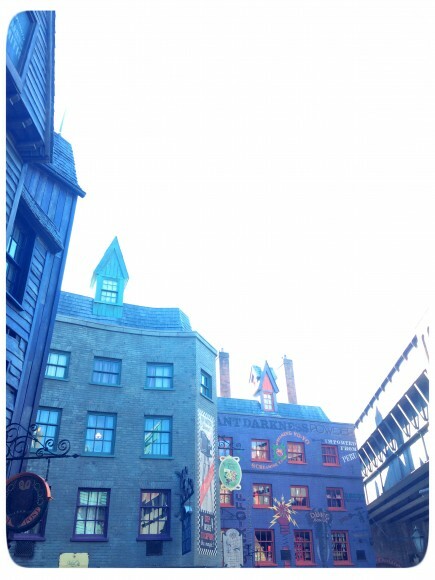 I can’t necessarily say I did, but thankfully I closed it out with a visit to Diagon Alley in Orlando! I had been ridiculously excited to see what they had done with the expansion, and I was not disappointed. The new park is perfection. The best part is, I’m pretty sure we only touched on all the amazing nooks and crannies of the place. I can’t wait to go again and see everything else we missed! 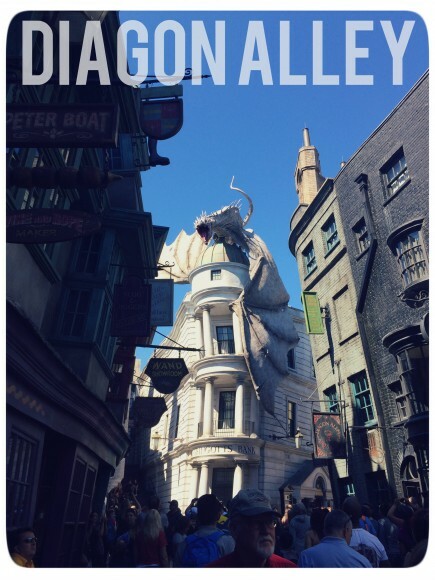 The butterbeer ice cream was probably the only disappointment. Granted, I was downing a frozen butterbeer right before I tasted it, so I don’t know if the two flavors competed with each other, but it just tasted like vanilla ice cream topped with caramel. Pretty bland. Otherwise, everything was on point. 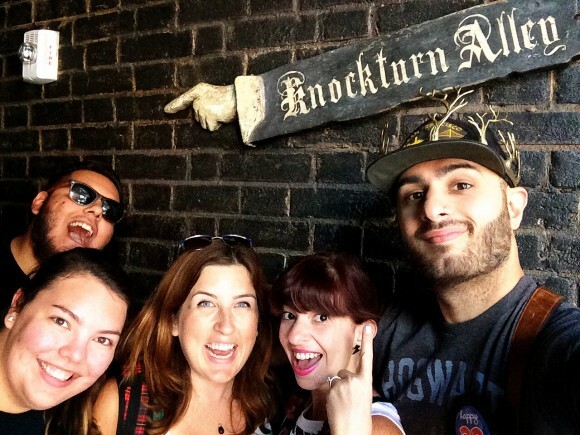 Knockturn Alley was a definite highlight of mine. I always mentioned that the deatheaters presence was not made known when we only had Hogsmeade, so I’m really really happy they brought a little darkness to the park. Without it, there would be no Potter. I also really liked visiting Ollivanders. I feel like their wand selection and quality improved (especially with the new addition of interactive wands). It was a pretty magical experience. 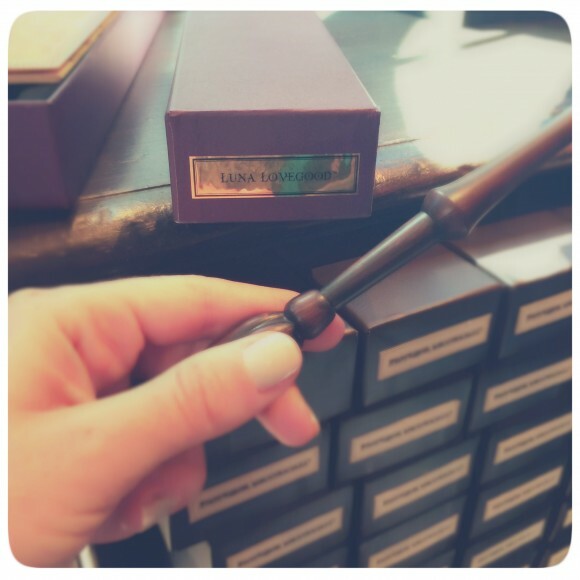 We all ended up taking home wands, but it was such a tough decision for all of us. I finally settled on Luna, which brought us all to thinking who we really are in the Potter universe in comparison to who we’d like to be. As much as I admire Hermione and her intelligence, quick wit and independence, I know I am 100% Luna. 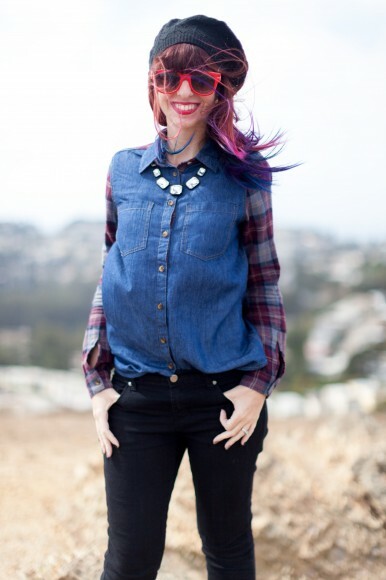 Quirky, weird, fiercely loyal and loving. 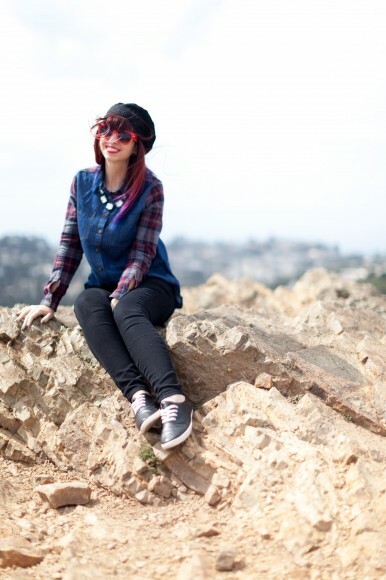 And this is what I wore! I love me a good Sunday Funday. I’ve been traveling for what seems like ages, but now that I finally have my feet planted back on the ground of my home city, I took advantage by doing what I love to do best: strolling around one of my favorite neighborhoods. Coconut Grove used to be all the rage while I was growing up, but I feel like it is kind of having another renaissance. I see it now as a more laid back alternative to the crazy beach crowd and hipster Wynwood scene. It has a very hippy kind of vibe, which makes me happy on gorgeous days like these in Miami. Local readers: what’s your favorite neighborhood in Miami? I love pairing fandom tees and accessories with trendy pieces. I feel like it gives your geeky side a subtle nod without going overboard. Plus, it is so fun to put the two together! Often, people don’t think you can make geeky wear fashionable, but I beg to differ. I do it on a daily basis, and I honestly love that unless you are another fan, most people will just glide over the reference. That makes those fellow fan encounters even more special! This is pretty easy to do with Jordan’s line of quotable tees. This one in particular was a must have for me since it is one of my favorite Doctor Who quotes. Tennant may be my doctor, but you have to admit that Smith had some amazing one liners. I love the typography and the fit of her basic tees. 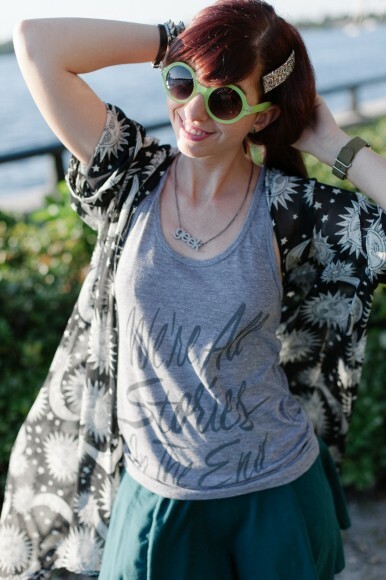 It makes it so easy to pair with anything – even this eccentric (but AMAZING) celestial kimono cardigan. NYCC was a total blur. I only went for the weekend, and had the most amazing time meeting friends old and new. I have to say I was a bit overwhelmed! I spent both Friday and Saturday walking the exhibit floor, and there was so much to see. 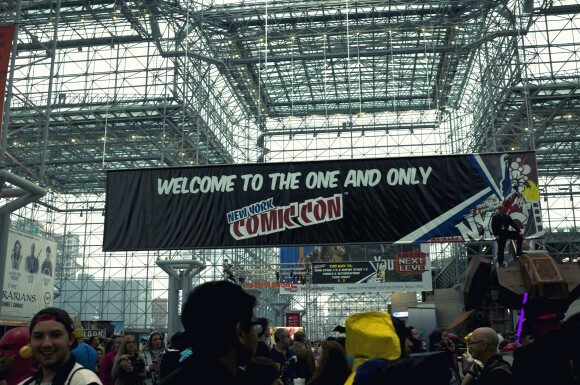 Being my first time at NYCC, the main thing I took from the experience was that it was 100% a vendors con. Unlike San Diego, there were no major panels to attend and minimal celebrity draw. Also, there were no stand alone events to attend – all parties were linked to the convention. This meant that there were no network/show parties, which is the complete opposite of SDCC. So what was there left to do? Shop! And shop I did. On My Way to NYCC! I’m currently on my way to join all of you in New York City for NYCC!!! 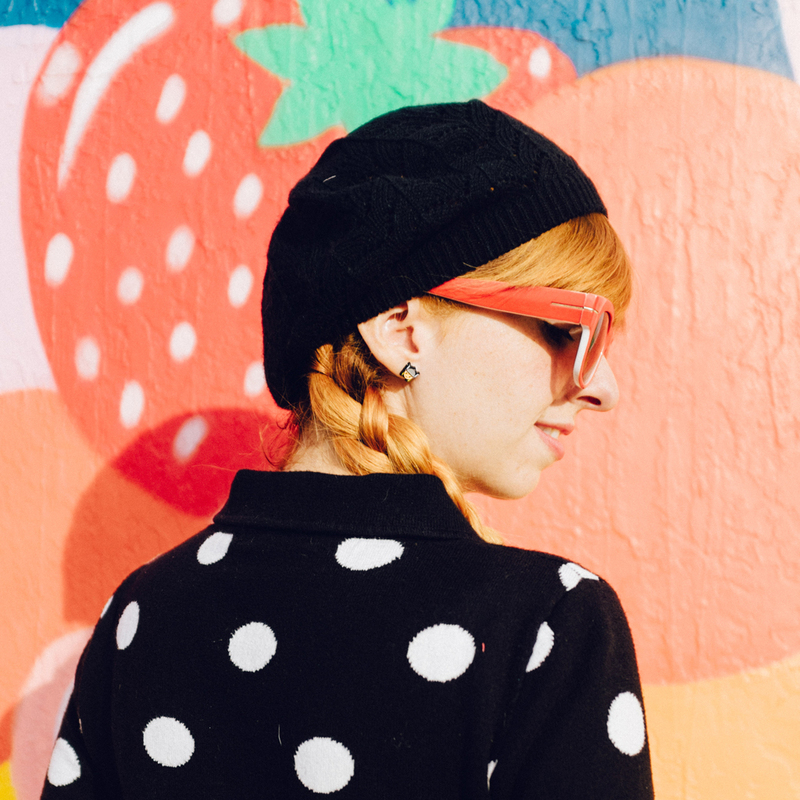 I’m so excited – it’s my first time and I’m beyond ready to meet a lot of fellow bloggers and have an amazing time in one of my favorite cities. 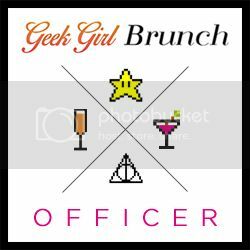 If you are going, I hope to see you at Fangirls Night Out hosted by Geek Girl Brunch on Saturday night! So something pretty special happened while I was visiting California this past week. I was able to sync up with a lot of my west coast friends, but I had one special visit in particular. 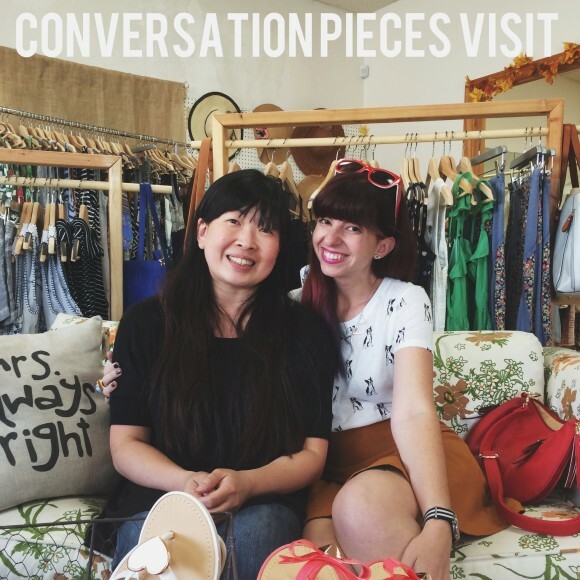 As you all know, I’ve worked with the small boutique, Conversation Pieces, for some time now. They have been my longest partnership and I have really built a great friendship with the shop’s owner, Audrey. She has always been such an inspiration to me to live your dream and never, ever give up. 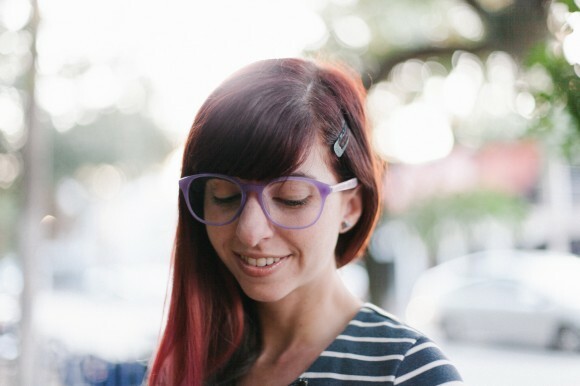 Despite so much adversity, she looks at life through rose-colored glasses and that is something I admire so much. On this trip, I was finally able to meet her, Angel and see Conversation Pieces in real life! Audrey was able to meet my hubby, we went to brunch at an adorable cafe nearby and I was able to shop to my little heart’s content in one of the cutest boutiques I’ve ever walked into. It was so great to see everything that Audrey worked so hard to make a reality, and of course, to give her a very big real life hug. I really wish we lived closer so this could be more of a frequent occurrence! 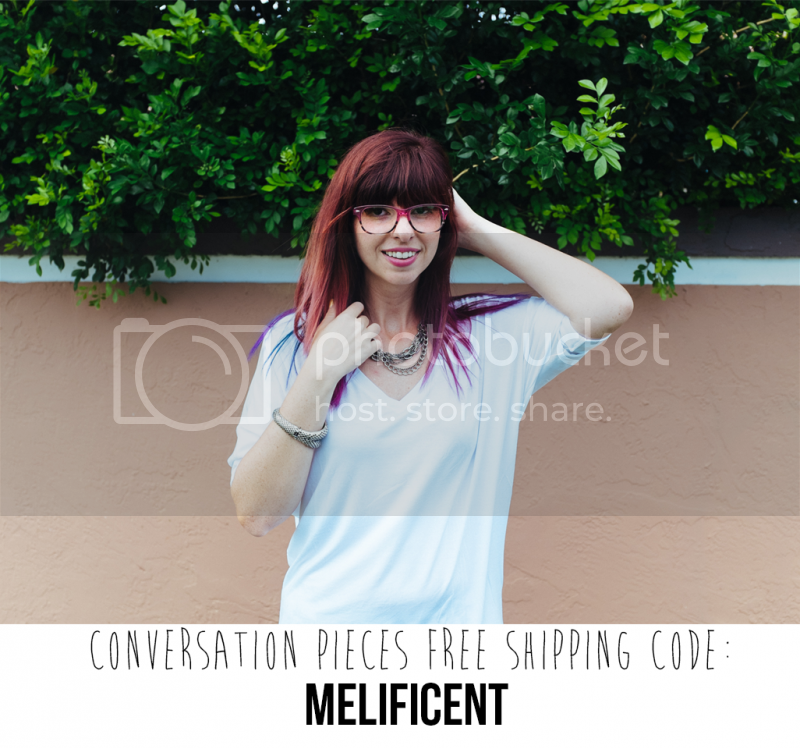 For all of you in the Southern California area, definitely make sure to check out Conversation Pieces’ storefront and make sure to tell Audrey that Meli sent you! I can’t wait to show you all the goodies I picked up! For those of you that don’t know, my laptop was stolen (along with my husband’s) while we were on vacation last week. It was not a good way to start our trip in San Francisco, and unfortunately, these photos were taken as our car was being smashed and grabbed. However, we tried to make the best out of it and rolled with the punches. I have a new Macbook Air and am ready to blog, blog, blog again! In case you can’t tell, San Francisco is just a bit windy, especially from the top of Twin Peaks, which is where these photos were taken. 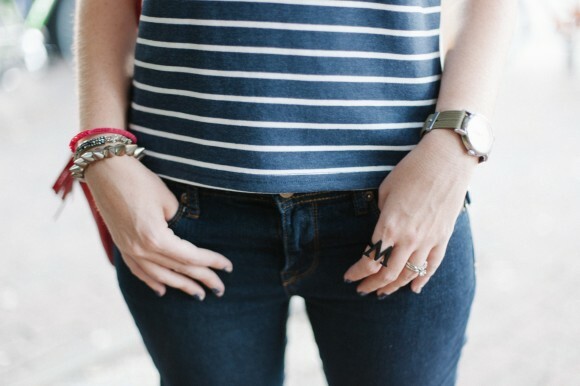 Thankfully I wore the right outfit to brave it – you can never go wrong with a tucked in blouse and skinnies! I was actually proud of myself for putting together this outfit as I usually don’t go so dark and basic, but I loved the result. I also think the pop of red on my lips paired with my red shades really pulled the look together and gave it that extra omph. Ah, the convention life. It’s a tough one, but someone has got to live it, amiright? 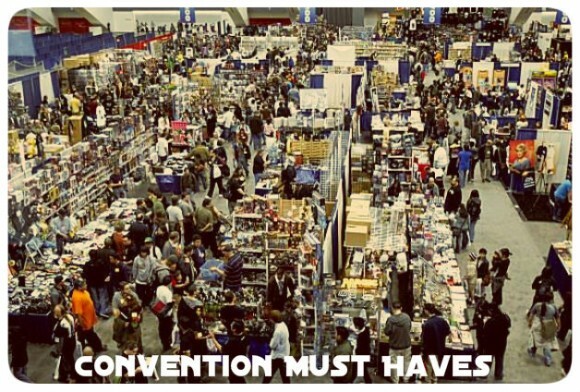 All silliness aside, I love me a good geeky convention. Thankfully, Miami is stepping up to the plate and hosting quite a few in the months to come, but I still find myself eager to travel to check out what the rest of the country has to offer. I’ll be visiting the West Coast starting tomorrow, so if there are any great events I should hit up in LA or San Francisco, definitely let me know! 1. 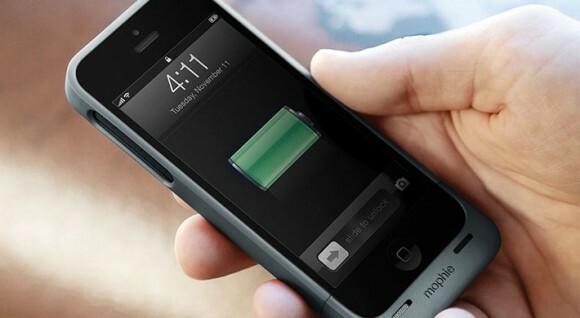 A Mophie iPhone Case; this has been such an incredible life saver for me. The Mophie case will make your phone a little bulkier, but it will guarantee almost an entire day of battery life. It has a built-in charger that you set to do its business once your battery life has been drained and voila! You are back at 80% in no time! They also have some models that will restore you to 100%, but honestly, I haven’t had any problems once I am back at 80. Struggling to find an available power source to charge your phone is absolutely no fun during a convention, not to mention a terrible waste of time, so this is definitely my number one recommendation! 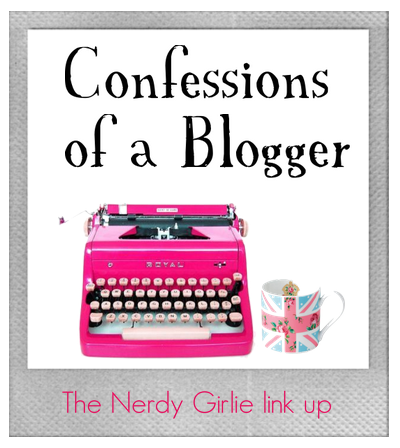 My awesome blogger buddy, Megan, over at The Nerdy Girlie shared some of her blogger confessions and asked her followers to do the same. 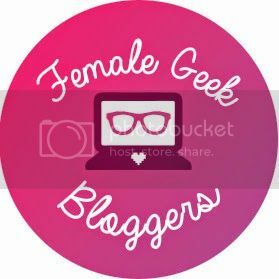 I think this is a great idea, because a lot of the time, I feel like bloggers don’t really talk about what goes on behind the scenes – even with each other! It’s been refreshing to read other bloggers’ lists and see that I am not alone in the things I struggle with and equally, the things I enjoy as being part of the ever-growing blogosphere. 1. I wish I had more time for my blog. 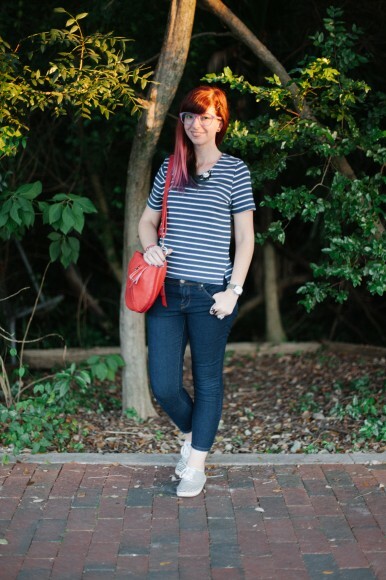 Even though it may not seem like it, I have a full-time job away from the blog. This makes it very difficult to focus 100% on it, which always makes me feel like I’m not churning out the best content, promoting it enough on social media or updating the layout enough. I often find Sundays to be my go-to day for blogging, along with any free mornings I may have where I feel inspired. However, I really wish I had more free time to make it more of a priority. 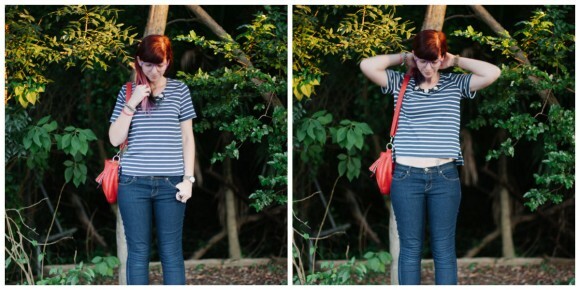 Yep, you could say I have blogger’s guilt.